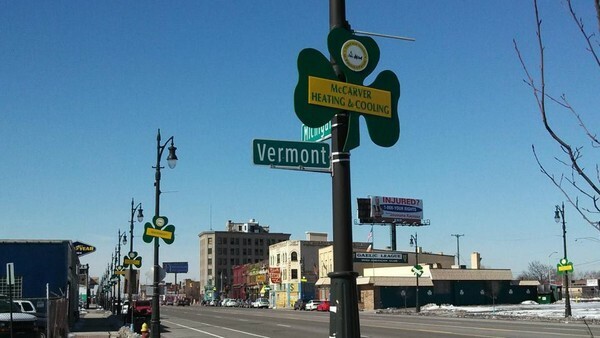 McCarver Mechanical Heating & Cooling is a thriving small business in Southeast Michigan. Owner Chris McCarver has worked each day to build an HVAC company with a reputation for fair prices and expert craftsmanship. Our honest, professional work has resulted in a flourishing and successful small business. We’ve used our success to give back to surrounding communities. In 2010, we donated a furnace to help a deserving Warren resident. 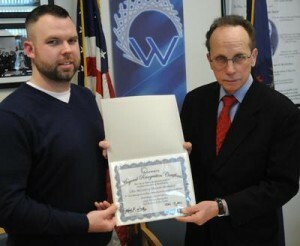 This resulted in owner Chris McCarver receiving a citizenship award for community service from Mayor James Fouts. For three years, we’ve sponsored a team for Walk MS – and held fundraisers for the National Multiple Sclerosis Society. We have also sponsored a little league team and donated to multiple school fundraisers. At McCarver Mechanical, we look forward to many more good years. It has been our pleasure to serve both our customers and our community! Chris McCarver knows the disruption and worry that a broken furnace can create — even if only for one day. But going without heat for part of last winter and the start of the current season can be frightening. After learning that a Warren woman and her daughter have endured the cold that long inside their home, the owner of McCarver Mechanical Heating and Cooling stepped in. The woman, who resides on Schoenherr Road, was told last winter that the furnace needed to be replaced. Laid off from her job, she couldn’t afford the cost. While most folks hurry inside to escape the cold, she had to endure it inside, too. She used curtains to cordon a portion of her living room, keeping a bed, table and space heater within. The temperature in the rest of the house was in the 40s. McCarver, who started his business in July, convinced his suppliers to donate some furnace materials. He provided the rest, fixed wiring inside the woman’s home and installed the new furnace at no cost. For his effort, McCarver on Thursday was presented with the first Mayoral Recognition Certificate by Mayor James Fouts to applaud outstanding community service. McCarver, 29, who attends St. Mark Church in Warren, had read in a church flier that officials were seeking volunteers to help with community outreach efforts. He convinced Behler Young Co. in Warren to supply the furnace, and Diversified Metals in Ferndale to donate sheet metal. McCarver purchased the chimney liner, filter, thermostat and wiring. When he began the work in mid-December, the wiring in the house “was a mess,” he said. 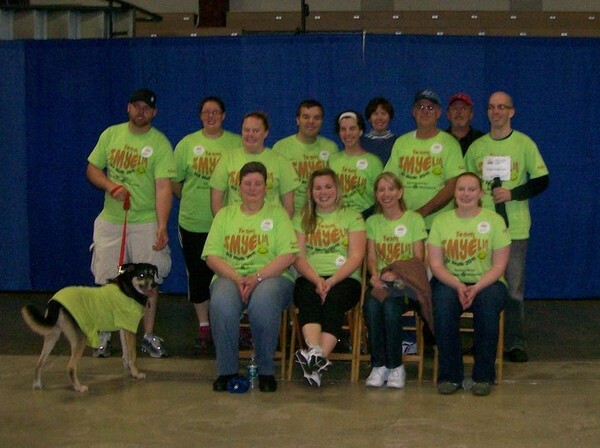 Like many volunteers, McCarver knows he helped brighten a family’s outlook. Chris McCarver could see the writing on the wall at an early age. Working in a dead-end factory job, and unhappy, he just couldn’t see himself doing it for 30 or 40 years. He knew then that he would need some sort of trade to better himself, so he tried his hand at HVAC/R and really enjoyed it. After completing four years of apprenticeship training in HVAC/R at Associate Builders and Contractors, McCarver earned his certification. 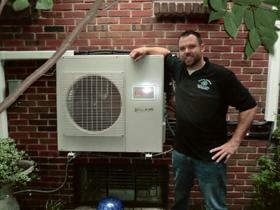 Soon afterwards, he founded Warren-based McCarver Mechanical Heating & Cooling at 32486 Dequindre, Warren, MI 48092. This July, McCarver Mechanical Heating & Cooling celebrated its first year anniversary. In just one year, McCarver, 30, has added two employees, two corporate trucks, and has seen a 50 percent increase in sales from the same time in 2010. The company provides commercial as well as residential service and can fabricate whatever they need in the field or find it through a network of providers like Diversified Metals of Ferndale. McCarver Mechanical Heating & Cooling services the entire Southeast Michigan area and has the resources to handle any commercial job, like restaurants, schools, and businesses, as well as smaller residential jobs. The company provides services for residential and commercial, new construction, retro-fitting systems, furnaces and air conditioning, tankless and hot water tanks, duct-free split systems, heat pumps, humidifiers, air cleaners, gas piping, and more. McCarver is a big advocate of going green and says that one of the hottest items in the HVAC/R field is a new system called the Fujitsu Unit, a green alternative to a conventional forced-air unit or boiler. The Fujitsu installation is simple and clean, and customers are pleased with the minimal construction on their home. One Fujitsu Unit can do both heating and cooling. Best of all, it runs on electricity so there’s no costly gas bill come winter.